Can Borrowers Reduce Student Loan Debt? Can New Kansas Legislation Help Borrowers Avoid Student Loan Defaults? A piece of legislation has passed through the Kansas Senate that would require state colleges to disclose the average amount of debt and annual salary for different areas of study. State legislators are hoping that Senate Bill 193 would allow students to make informed decisions on career paths and areas of study. Degrees associated with large amounts of debt and low salaries have led to a surge in borrowers behind on student loan payments. According to lawmakers, there are more than 2,000 degree options at Kansas state colleges, and critics of the bill are claiming regulations could be overwhelming. Student loan debt has hit $1.2 trillion nationwide, and lawmakers across the country are attempting to find solutions. If the law is successful, it could give students a fair warning before they take out tens of thousands of dollars to pay for a specific degree. Just how behind are students on loan payments? According to the Federal Reserve Bank of New York, only 37 percent of borrowers are current on payments for federal and private student loans. An additional 17 percent are in default or delinquency. However, there are solutions that can help student loan borrowers get out of debt or reduce student loan debt. Can Borrowers Reduce Payments On Student Loan Debt? Individuals with student loan debt can hire an attorney and explore options for declaring their loans as undue hardships. If borrowers can prove student loan balances are creating an overwhelming burden in their lives, the student loan debt can be discharged or payments can be reduced. The Sader Law Firm has had success in reducing student loan balances, and in one case, reduced a client’s debt by $250,000. Our readers can learn more about filing for bankruptcy by exploring our YouTube page. 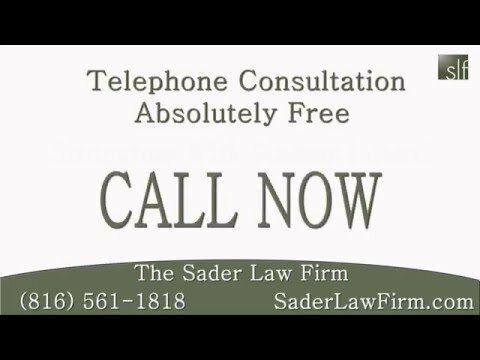 Follow The Sader Law Firm on Facebook and Twitter for regular updates. ← Should I File For Bankruptcy If I Am Facing Foreclosure?